We have 30 years experience with labels, stickers and cards. Duranmatic has more than 30 years of experience in providing cash register rolls, self-adhesive labels, cardboard cards and thermal transfer ribbons! For both the standard rolls, cards and stickers as well as for pre-printed rolls, cards and stickers we can offer very competitively through our contacts directly at the factory! 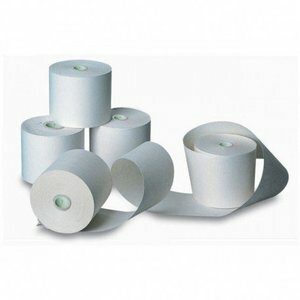 You can also come to us for specials, eg for plastic labels, frozen labels, heat resistant labels etc. We are also specialized in supplying plastic isocards, (customer cards / loyalty cards) both in magnetic card and RFID version, both blank and pre-printed.